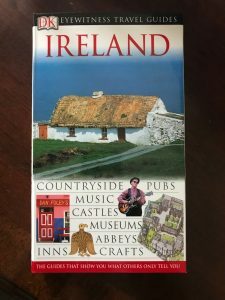 I wrote a post about this at this time last year, in preparation for my First Annual While I Was Reading Challenge. I’m sharing it again now, with a different title and a few tweaks. With a little over a week left in 2018, many of us book nerds are busy planning our reading lists for the New Year. 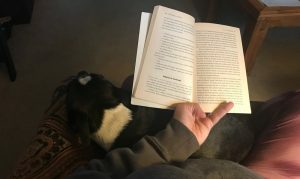 If you’re participating in a reading challenge for 2019 or thinking about it, I certainly hope you will join my 2019 While I Was Reading Challenge! 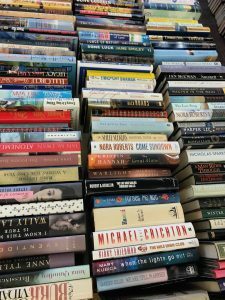 In addition to my own challenge, I’ll once again attempt the Annual PopSugar Reading Challenge, which I finished this year, along with Book Riot’s Read Harder Challenge. Adding together the prompts from all three challenges gives me 62 slots to fill. My goal for 2019 will be to read 125 books, which leaves me with 58 “freebies.” The good news is, as of today I’ve read 152 books this year and might finish one or two more. Plus I’ve already penciled out title ideas for those prompts and can fill all but maybe four with books I already own. 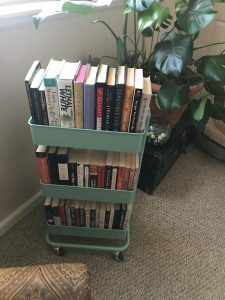 So with all this planning happening around my book shelves, I’ve had a couple people ask me to share tips for how and why I choose my books for my reading challenges. 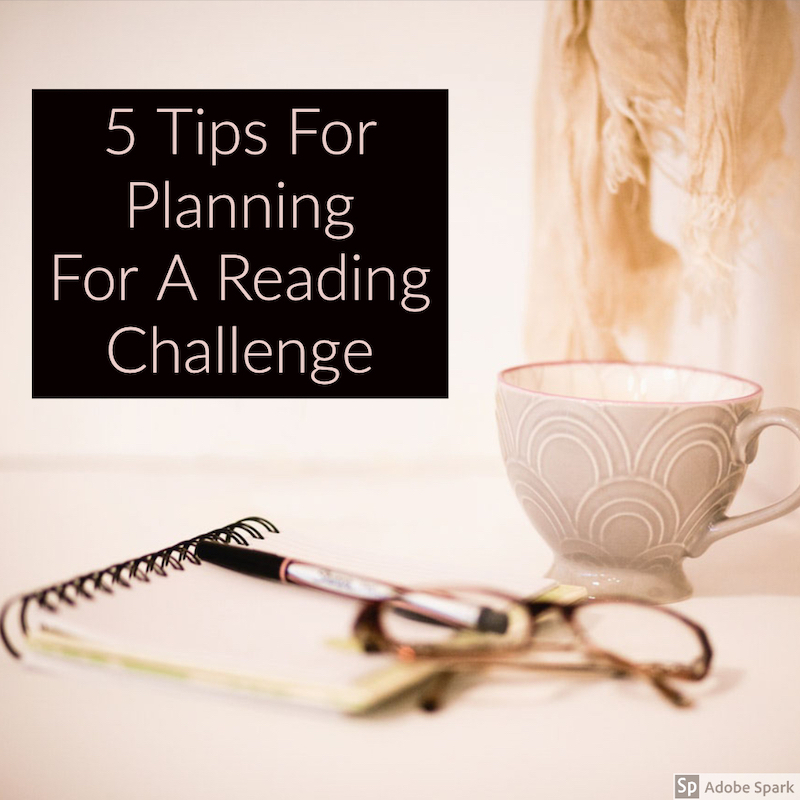 Print out your challenge list, grab a pencil, and look through all the books you already own. Jot down any title that seems like it’d be a fit for each category. This is a great opportunity to buy, or at least make note of, any books you’ve been wanting to read. 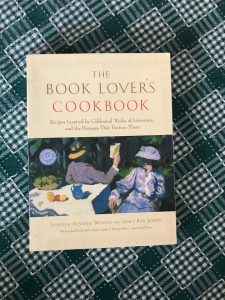 Look through lists of best sellers from 2018, or any other lists that may appeal to you (maybe from The Great American Read), and see which of those you’re interested in that could fit a challenge category. 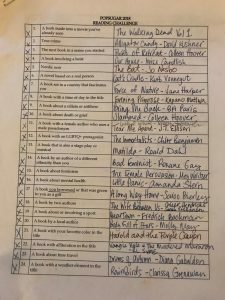 You don’t ever want to feel like you absolutely must finish a book to check off that prompt. Even if it doesn’t seem like it, there will be lots of options for each category, especially if you are creative! *Decide ahead of time if you’re going to “double dip,” meaning permit yourself to use one title for more than one category. 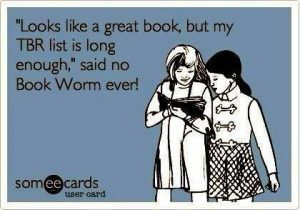 If you start a challenge and don’t like how it feels to be choosing what to read next based on the list, don’t continue. Reading challenges aren’t for everyone. Quit a book if you aren’t feeling it. Use this as the wonderful opportunity it is to cull your shelves. If you start a book and don’t like it, you don’t have to keep it. Give it away and free up that space for more titles you will love! How are you preparing for reading in 2019?! Are you participating in a reading challenge? Do you have any advice to add to my list? I’d love to hear from you! And remember, you can join in the discussion for my While I Was Reading 2018 Challenge on Facebook and Goodreads! I’d love to have you on this journey with me, and all my supportive bookish friends! You can download a printable list of the challenge categories here.